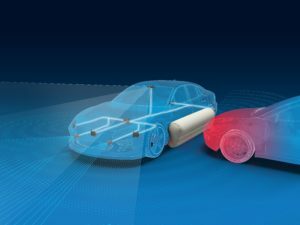 ZF late last month reported it was “well advanced” on the path of creating a “far-side” airbag able to protect occupants sitting on the opposite side of the crash impact. 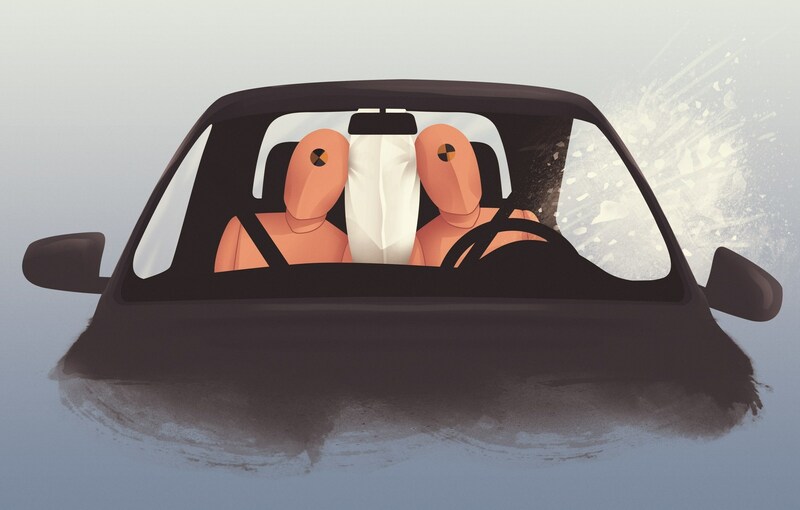 ZF said the airbag “unfolds in the vehicle’s center” between the driver and passenger. In a 2015 news release, ZF described a version “integrated into the inner side of the seat back.” In 2017, the manufacturer said it had developed a concept version that would work without a center console to keep people in position. This would be an interesting new item if either NHTSA or the IIHS tried to adopt a similar requirement in the U.S. ZF said in 2015 that nearly 30 percent of U.S. side-impact deaths are tied to something striking the vehicle on the far side. An even more dramatic new airbag for shops to encounter would be the “external pre-crash system” ZF planned to discuss at the “Airbag 2018” symposium late last month. 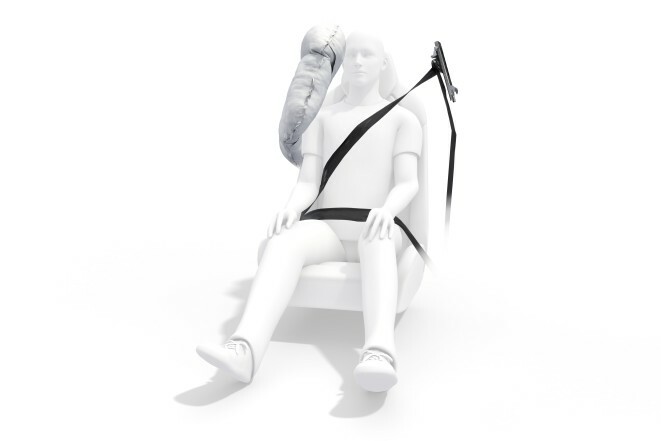 ZF also raised an interesting question Nov. 26 about how to handle airbags in situations where an autonomous vehicle lets the driver or occupants take new seating positions — such as a driver laying down and sleeping or occupants able to swivel seats around. The news release did touch on one trend which might affect collision repairers now. ZF will start volume production in 2019 of what it boasted was “the lightest knee airbag” on the market — one housed in fabric instead of metal and weighing 30 percent less. 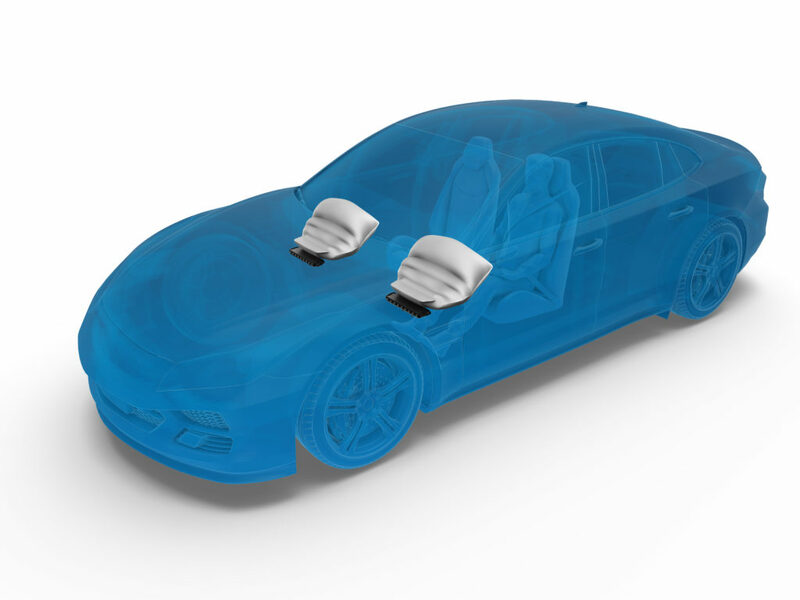 In March, it noted that the new airbag could let OEMs optimize parts like the instrument panel. ZF didn’t discuss the price of the knee airbag in relation to the more traditional design.